Love the way the stripes run in the circle skirt, looks great ! I love the vintage fabric you chose! It's really cute and it looks as if you're enjoying it! Lovely! Looks like such a cute pattern - another one for my never-ending list! This is so pretty! I think you look great in a circle skirt! 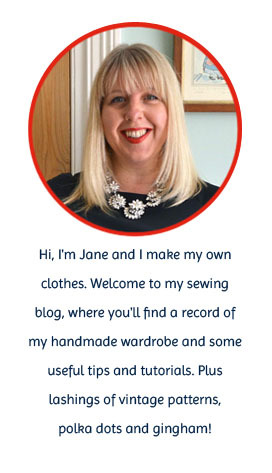 Jane, everything you make is amazing! This is SO cute and so you! I love it on you! This dress is sooo cute! You knocked it out of the park! Oooh la la, very lovely Jane! Love your fabric it's super cute! And I particularly like the patterns' deep V neckline at the back! 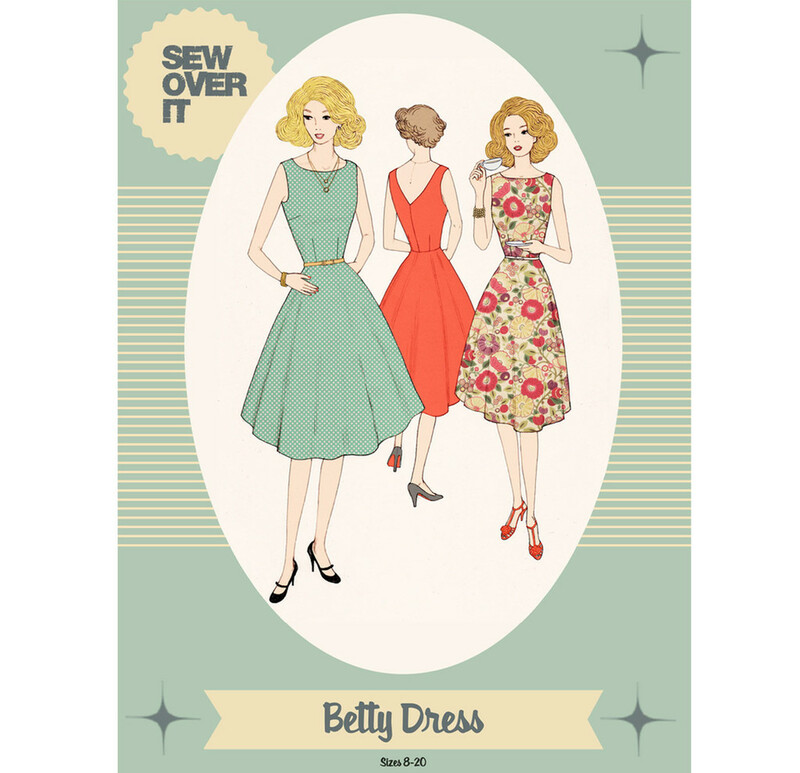 The dress looks wonderful and the different directions of the pattern as excellent. Lovely dress, Jane. 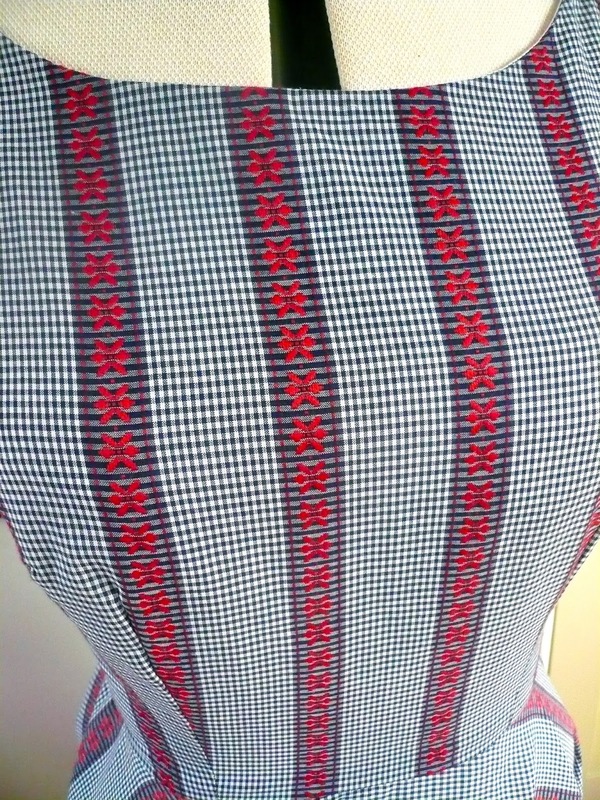 I really like how the skirt's stripes are not aligned with the bodice. I bet this will be a super easy to wear garment, and one that could extend into fall wear if worn with a short cardigan, perhaps in red? It's gorgeous. I love your fabric and the way the pattern falls on the skirt. Absolutely love the fabric and the fit is spot on! Lovely! You're brave to make it with stripes and I love the way they fall! Thanks for sharing! Great pattern but I LOVE the fabric, so cute! I'm not surprised you like this dress...it's lovely. I do like the way the stripes fall on a circle skirt. LOVE the fabric and the dress! I love the fit...you look lovely! It's beautiful! I love the fabric.